A large, spacious contemporary synthetic outdoor wicker sofa, with a gorgeous sharp exterior shape and full-length weave. 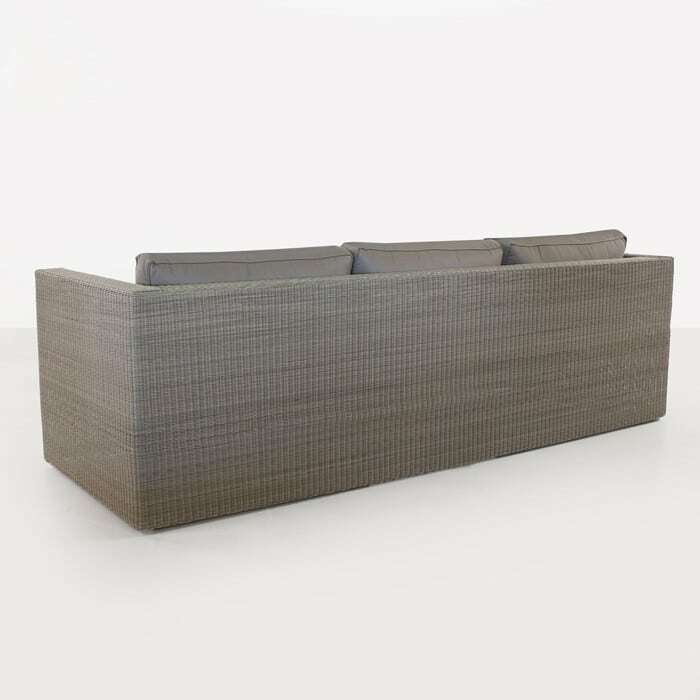 This sofa offers a sleek deep seating experience for those who refuse to sacrifice on style to achieve comfort. 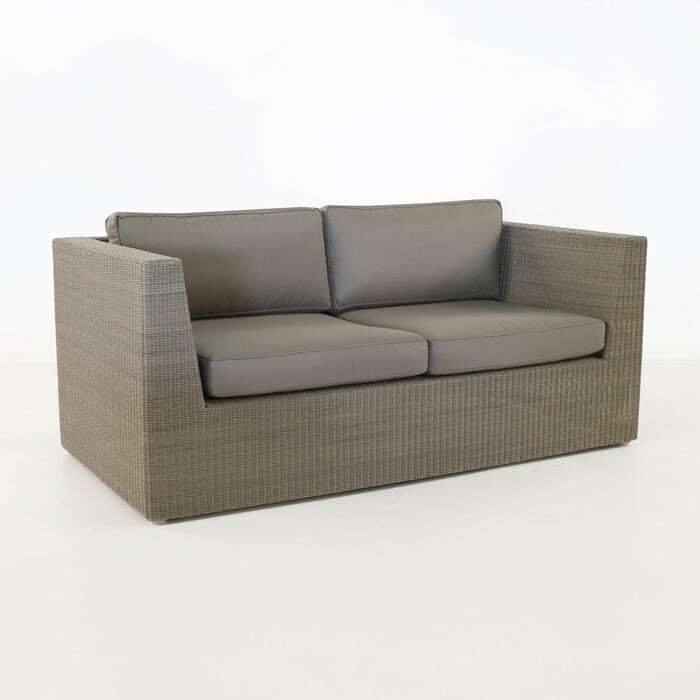 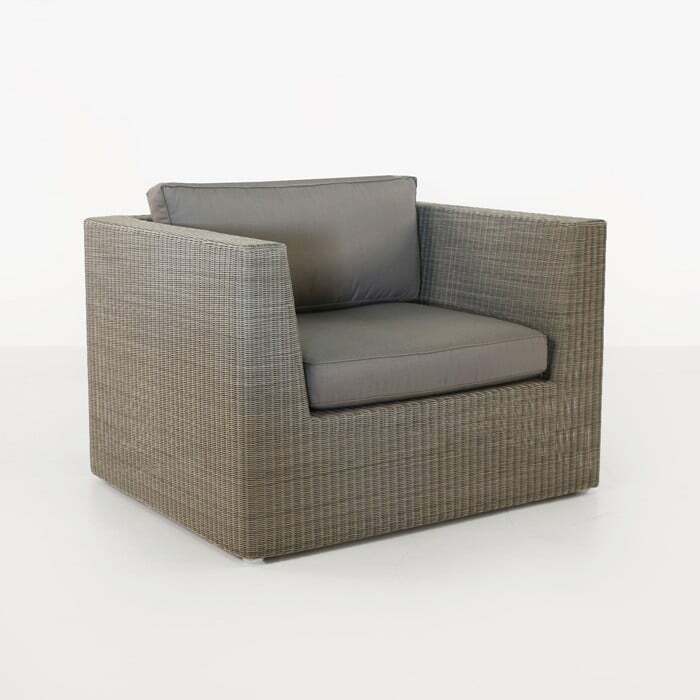 The Antonio outdoor wicker sofa is a subdued contemporary style that really offers the best of both worlds for those that want style and comfort, light weight and durability. 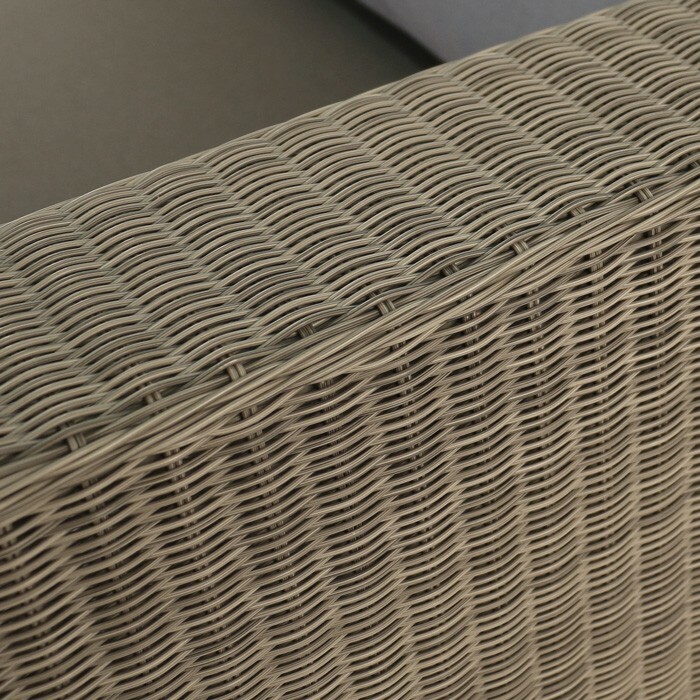 The synthetic outdoor wicker weave on this lightweight powder-coated aluminum frame offers minimal maintenance requirements and a gorgeous Stonewash color, which works in so many natural environments. 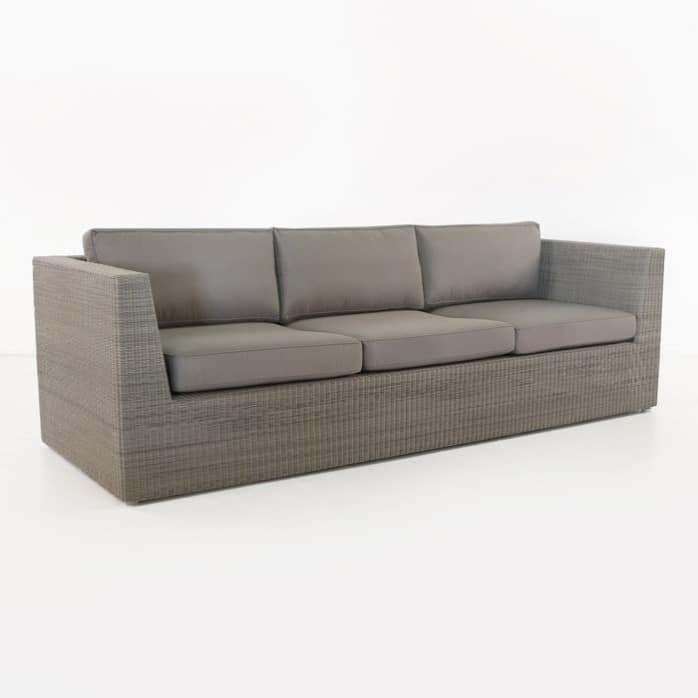 Full-time outdoor use is where this gorgeous outdoor wicker sofa thrives. 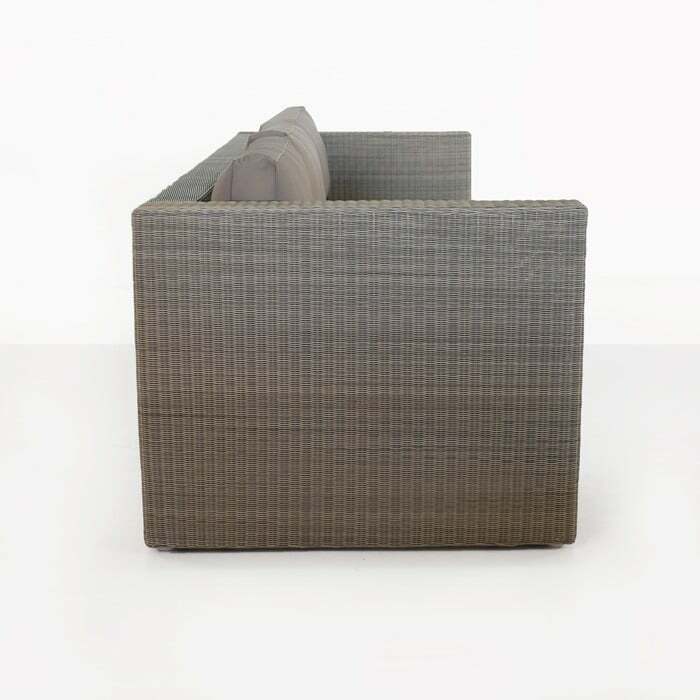 The Sunbrella cushions are included in the price as shown.